When it comes to the world of football boots you’ve got to give the ‘Most Improved’ award to Mizuno. Their Wave Ignitus boot propelled the Japanese brand into the spotlight this time last year, and now it’s back for another go with the Mizuno Wave Ignitus II. Sitting somewhere in between a speed and power boot, the Mizuno Wave Ignitus brings a lightweight construction to an upper covered with ‘vamps’ and ‘bio-panels’ more commonly associated with the aggressive accuracy football boots like the adidas Predator an Nike Laser. The credo for the Mizuno Wave Ignitus II is “More Mukaiten. 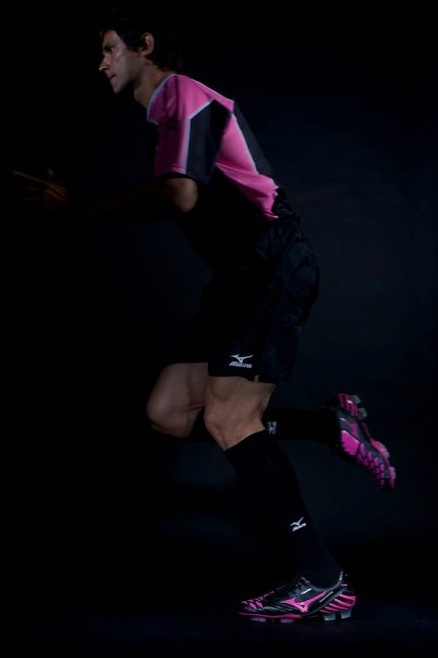 More Power”, and that should tell you exactly what Mizuno have planned for these exciting new football boots. The curface area of the Mukaiten panel on the Mizuno Wave Ignitus II has more-than doubled over their predecessors; the idea being that your feet now have a larger, flatter area to strike deadly ‘No Spin’ set pieces from. The Bio-panel vamps have also had a re-mapping across the K-Leather upper, now more resembling the sweeping, 360'Ĺź bio-panels from the old Wave Shinken II. Here on the Mizuno Wave Ignitus II, though, they’ve also been engineered to provide a more aggressive contact on the ball. All this means that, by mastering these football boots, you’ll be able to put wicked spin on the ball with one area of your foot, or hammer an unpredictable ‘Mukaiten’ with another! 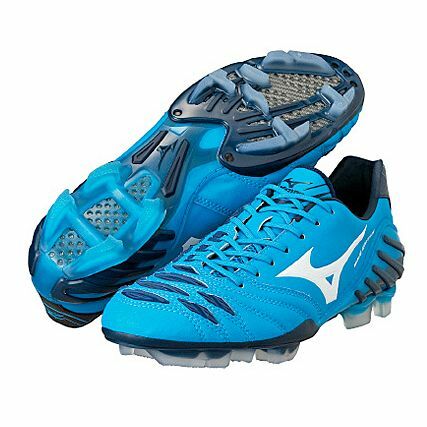 The soleplate has always been a staunch focus of Mizuno, and the Ignitus II is no exception. A Carbon Fibre split-outsole keeps the boot light, strong and flexible; whilst the studs follow the Osaka-brand’s legendary ‘Wave’ configuration, which follows the ergonomic channels of the foot for maximum grip and comfort. 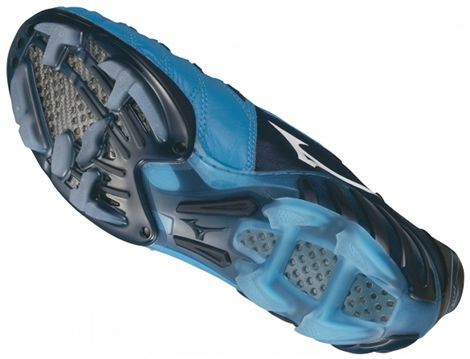 The Mizuno Wave Ignitus II begins it’s pre-sale this week, with a full retail release of May 23rd – priced competitively at £120/$190. Two colourways will be available at launch the bold Black/Pink or a cool Blue/White. 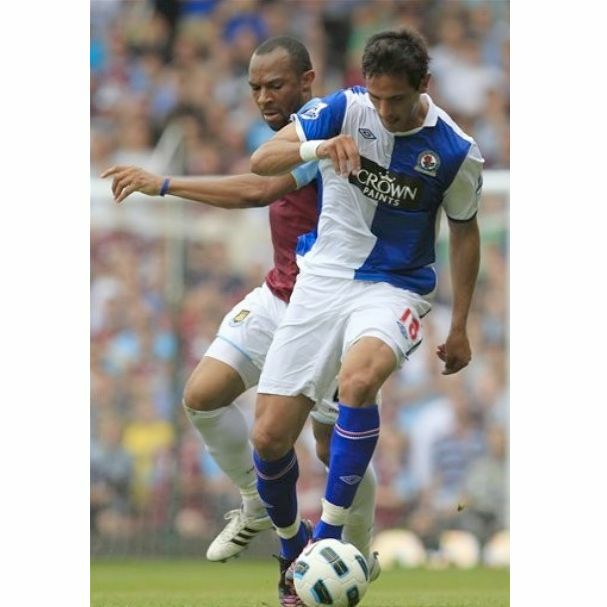 Roque Santa Cruz debuted the Black/Pink version of these football boots when making a substitute appearance for Blackburn Rovers against West Ham in the Premier League on May 7th. 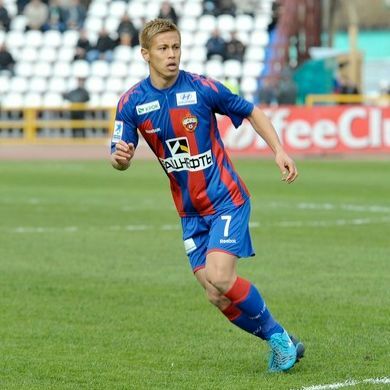 Whilst Keisuke Honda was spotted testing the Blue/White Mizuno Wave Ignitus II in an international friendly for Japan back in March. Let us know what you think to the Mizuno Wave Ignitus II football boots in the comments below! I deffo want a pair of these!! Loved the ghost wave and loved the Ignitus aswell. Can’t wait to see these out soon!! Nice boots, but the colourway looks cheap. I’m very excited by these, I’ve been a bit of a Mizuno convert as of late thanks to the brilliance of the Ignitus. Playing in them just feels so right for my feet and I think that this is the start of a great relationship between myself and the brand. Awesome. First I thought he wears some nike cleats because of the color. But now that I know there will be a second Version of the Wave Ignitus I’ll have to wait a little longer before I get my first pair of Mizuno’s. Hard enough to get them in Germany…. but awesome cleats! 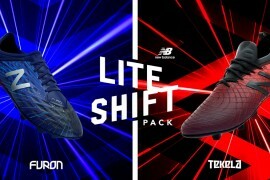 i’m kinda dissapointed when CTR360 II came out and they’re basically still the same boots with the first model. i just hope mizuno came up with something really good this time. this boot looks really nice, I wish they could sell them in the US. more bio-panels, bigger mukaiten panel, off-center lacing… saw one without a heel counter which really looks cool. power-speed boot hybrid. Another amazing boot from master Mizuno. Will definetely get these, but the signature yellow colorway would be better. Can’t blame them though since it would be mistaken with the Mizuno Hulk edition shoes. 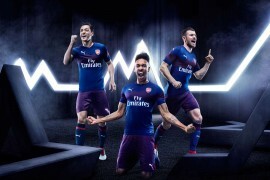 Does anyone know how could i pre order the blue one as the pink one is too ugly for me. Like Sammy I think a comparison with the originals would be great. 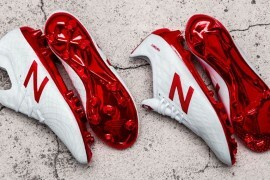 I am not that set on either colourway yet the original red/white Japan version is one of the most exciting boots I have seen. Mizuno are a really great brand. Slipping a pair of ultralight morelias on converted me. Good luck to them. They are nice the biggest difference between the two is a little weight and a bigger mukaiten panel along with more panels on the laces, just a bigger surface area. I noticed a lot more consistency and control than the first gen. They trimmed the cut on the front a bit on the instep and gave it a more off set lacing. And it is now synthetic. Not too bad over all. They have been selling them in Japan for a while they are actually hard to get now they are pretty much sold out and on sale or clearance. I saw the whole line up today, as they have finally released the lower end models. Not too bad have a soccer camp this week and I am thinking these will be the ones I use this week. Guys, I need some help! I have a pair of Mizuno Wave Shinkens (II), and it appears as though Mizuno stopped making them. If I were to buy a new pair of Mizuno’s, which boot would be closest in quality and feel to the Wave Shinkens? Thanks. Go to rakuten co jp they had a ton earlier this year. They were on clearance when I lived in Japan last year, so I would be expecting a new model soon. Japan releases everything ere first then about six months to a year everyone else. My trip this year got cancelled or else I’d offer to pick you some up. I move back next year perhaps the new model will be clearances then!